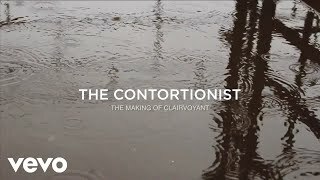 The Cedars "Capital Campaign Video"
The Contortionist "Clairvoyant Studio Update 1"
The Contortionist "Clairvoyant Studio Update 2"
Northeast Fire Stopping Solutions is a company dedicated to fire prevention. This two minute trade show video was produced to explain the fire stopping process to the consumer. "It's About Time" is a two minute pilot for an internet based cooking series. In this video, host Jack Tracksler demonstrates how to prepare grilled steak, oven roasted potatoes and creamed spinach. The Junior League is a local non-profit organization that spreads social awareness within their community. 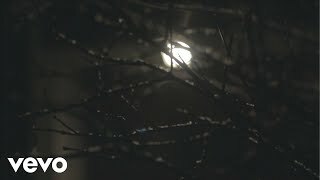 This video was created in 2013 as a way to recruit new members to the organization. This is a 60 second commercial for Pete's Pub in Little Harbor, Abaco. The Hood New England Dairy Cook-Off is an intense, day long competition where chef's from across New England compete for a $10,000 grand prize. This video is a 90 second recap of the day's events done for Hood and Garrand Advertising. Beau Buddy Rescue is a not for profit dog rescue located in Bath, ME. This video was showcase the efforts of Beau Buddy. This is a video documenting the transition of several women from Preble Street's temporary women's shelter to their new, permanent homes at Florence House. Birch Rock Sumer Camp is an all boys camp located in western Maine. This promotional video was created in 2012 to showcase everything the camp has to offer. Birch Rock Summer Camp is a Maine institution with a long heritage. In 2012 the camp celebrated its 85 Anniversary. This video was produced to documents the celebration. In 2015, The Saco Drive-In began offering a unique "dinner and a movie" experience with the addition of their new dine-in patio. This video was produced to announce this new feature and would run on both the internet, as well as during intermissions at the drive-in. This 30 second commercial was created for Ameriprise Financial representative Sean Riley and was aired on the Time Warner Cable network. This video was produced as part of SMCC's Advising Series, which was a series of videos aimed at informing new students of services available to them on the SMCC campus.